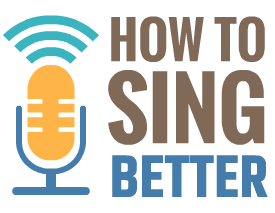 For many years I personally struggled with learning how to sing, with a lack of range, straining on high notes, my low voice, a lack of technique – I had every bad habit in the book, until I discovered the simple solution I’m about to share with you in this singing lesson. Singing itself is actually a very simple process of pressure, vibration and resonance (I know, easier said than done), but the task of learning HOW to support and resonate in a practical sense is often made all the more confusing by the many different methods and opinions out there about almost every vocal technique and term. The truth is, many of these different approaches and methods really do work – for the person who is teaching them. For many years I went to singing teachers who shared with me the exercises and techniques that had worked for them with very little consideration to my voice and my issues as a singer until I learned this simple process of elimination. There’s no marketing term for it, or fancy buzz words – just a step by step approach to developing control and balance in ANY singing voice… yes, even yours! The final voice coach that I went to, over a decade ago now, shared with me a very important secret that many others don’t want singers who are just finding their feet to know; Ability To Sing doesn’t mean you have the Ability To Teach. That’s right, teaching singing is actually a separate skill to singing itself – this is why many of the voice coaches and singing courses I frequented for so many years simply repeated what had worked for them. Sure, they were great singers, but this doesn’t really mean that they were really equipped to teach ME how to be a great singer. With this powerful knowledge in hand, I started developing a process of elimination around every single element of the voice, from vocal onsets, resonance, register connection, consonants, vowels and everything in between. With this simple process of elimination, I eventually broke through the walls that had been holding me back as a singer for such a long time and I finally understood the true secret to great singing: BALANCE. I realised that for many years as a beginner singer I had been trying to ‘build’ my voice like a weightlifter, trying to carry my chest voice and low range higher and higher until it inevitably broke – learning to balance between chest and head resonance together was an absolute game changer for my naturally low singing voice. 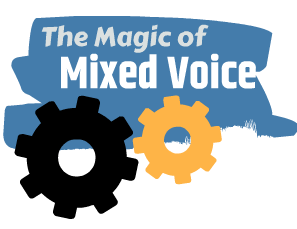 The concept of Mix Voice really started to make sense and occur in a practical sense as I started to develop control and balance in every aspect of the vocal mechanism. Important concepts like balanced onsets, mixed voice, blending and vowels finally started to make sense and over time became a practical part of my singing approach so that I could tackle any song with powerful, confidence and my own true voice. At the end of the day, a fantastic singer isn’t a “strong” singer, they’re actually a balanced singer, which is what I’m about to share with you in the exclusive lessons available here at Bohemian Vocal Studio. Whether you have a low voice like me, you’re a complete beginner, a mature aged singer, a rocker – there is a tailored singing lesson waiting for you right now!